New book exposes hazards in the home, including smart meters…. Hot off the press! 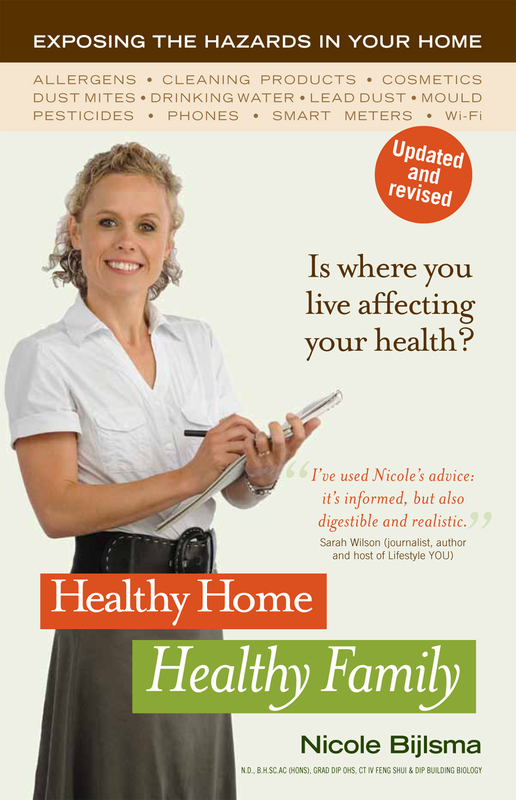 New updated Australian book Healthy Home, Healthy Family, by healthy home expert Nicole Bijlsma, includes an entire chapter on electromagnetic fields and radiation, with a section on smart meters, to educate people about the related health issues and more importantly, how people can reduce their exposure to these frequencies. Bijlsma’s first edition sold out in 18 months and attracted numerous television and radio interviews. This entry was posted in Smart Meter and tagged Electromagnetic field, Environment, Health, Smart meter. Bookmark the permalink. 3 Responses to New book exposes hazards in the home, including smart meters…. A new Legal firm have been advertising quite a bit on TV. They are saying that they take on Difficult Cases. They claim to fame is NO WIN NO FEE, like the others as well. Have you people considered approaching these people for a law suit against the Electrical companies for personal injury and massive losses people have sustained so far RE SMART METERS etc.